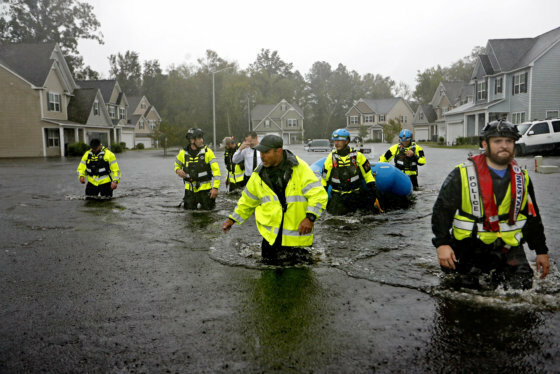 The D.C. area may have been spared the brunt of Florence, but homeowners should still ensure they're properly covered and familiar with how to respond to damage, an insurance expert advises. WASHINGTON — While the D.C. region was spared the brunt of Florence, the storm should serve as a reminder to home and business owners to check their insurance policies to ensure they are properly covered and familiar with how to respond if there is damage. “That notion that ‘it won’t happen to me,’ or ‘it won’t happen in this area,’ is just wrong,” said Bob Rusbuldt, president and CEO of Independent Insurance Agents & Brokers of America. 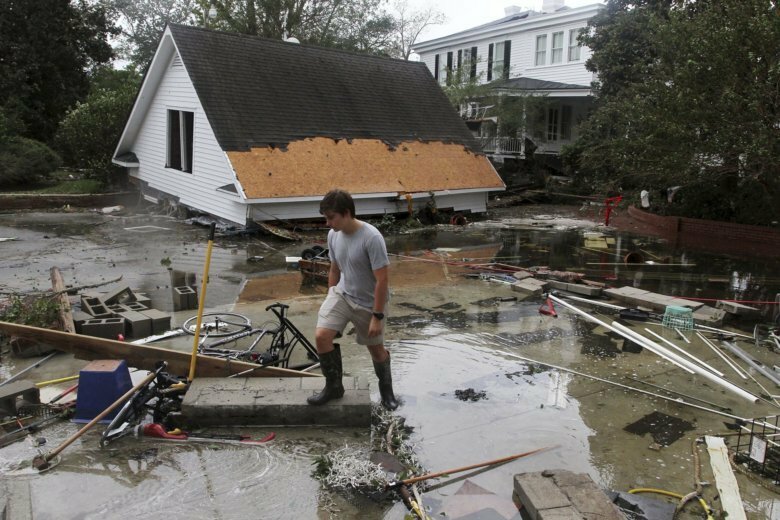 Storms like Florence, which drop several feet of water onto neighborhoods over a short period of time, can leave people outside of flood zones with flood damage. Flood insurance is separate from homeowner’s insurance and, according to Rusbuldt, without the additional policy, homeowners with flood damage can find themselves in a tough spot. “If flooding occurs to your house and you don’t have flood insurance but you have homeowners insurance, you are not covered for that damage,” said Rusbuldt. Rusbuldt said for homeowners without flood insurance policies, many times the government will step in offering low-interest loans, which unlike insurance payouts, must be paid back. Rusbuldt believes responding properly after a storm has hit can dramatically affect how difficult it will be to complete a claim. When returning home, Rusbuldt said homeowners should do a thorough inspection of the premises and shouldn’t turn on any switches or light any matches until certain that there is no damage to gas lines or the electrical system. If a gas leak is suspected, everyone should get out of the home and the gas company should be notified. For possible electrical damage, the main breaker to the home should be turned off, if that can be done safely, according to Rusbuldt. When it is deemed safe to do so, take pictures of the damage, especially before throwing anything out. Rusbuldt said in an ideal situation, all the damaged items should be kept for adjusters to see. “Take photographs or video tape on your cell phone; it really helps make the claims process go much faster and much smoother,” he said. Make temporary repairs to the home to prevent further damage, and, Rusbuldt said, hold onto receipts. After the storm, insurance agents should be contacted, according to Rusbuldt, so the claim process can begin and adjusters can be sent out to the home. He said many people don’t realize there are two different adjusters they may work with during the claims process: the adjuster hired by the insurance company and a reputable public adjuster hired by the property owner to represent them. Finally throughout the process, make sure to document every person spoken to about the claim and keep a detailed summary of the conversations. Any property owner with water damage should consider filing a claim, even if the damage seems minor, Rusbuldt said. “Mold is slower process, it doesn’t happen immediately,” he said. Finally, Rusbuldt said don’t forget your car before or after a storm. “People do not take care of their cars, their automobiles during flooding. Everybody thinks about their houses. That’s natural,” he said. Before the storm, the vehicle should be moved to higher ground. If a car is flooded, a claim should be made and an professionals should look it over for damage which can come after the car dries out.